A marvellous wallpaper showing architectural monuments of Cairo, Egypt. *Price is for 3 rolls covering up to 4.65 sqm. Shipped Direct from MINDTHEGAP in the UK. Magnificent imagery was selected to create one of the most amazing wallpaper collections. 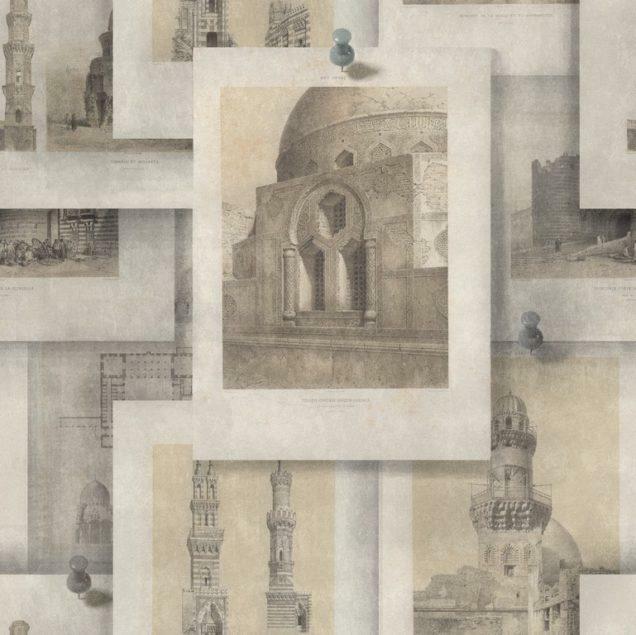 Ancient symbols, vintage patents and drawings, famous mathematical formulas or iconic photography are the ingredients of the first MINDTHEGAP collection of wallpapers. The collection is suitable for any interior type, especially for those the vintage reinvented or the well known Eclectic design style. All MINDTHEGAP wallpapers come in rolls of 3m length with a width of 52cm. The wallpaper is packed in a black box of 3 rolls. 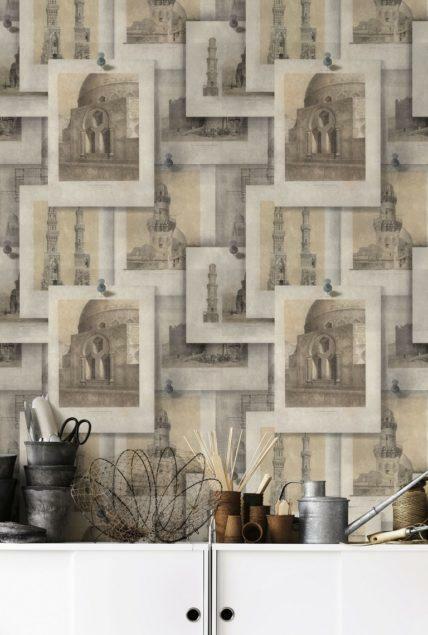 With one box of MINDTHEGAP wallpaper you can cover up to 4.65 sqm. Comes as a pack of 3 rolls covering up to 4.65 sqm. FSC Grade wallpaper substrate produced from sustainable managed forest, Paste the wall; Easy to hang; No pasting table necessary.